Marketing your local business online is becoming more complicated as technology advances and your potential customers expect to find your business with the click of a button or by talking to their smart phones. As you probably already know, when it comes to building the foundation of your local search optimization skill set you can find everything you need within our Local Search Marketing Book. However, if you're past that part of your education and working with businesses that have multiple locations, then here are a few best practices to put in place on your Web site that'll help you rank better in the Local Packs found in both the Local and Organic search results. Local Pack Found within Organic Search. 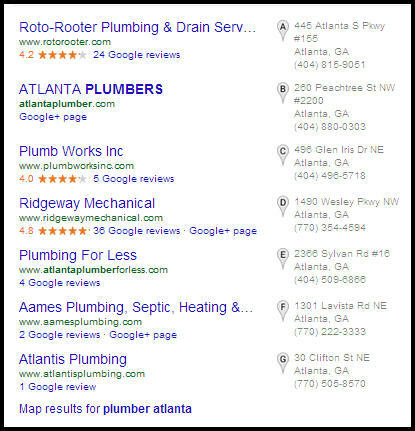 The search engines are very good at parsing a business's Web site and determining its Name, Address, and Phone number (NAP). However, businesses with more than one location will have several (perhaps even hundreds) of addresses and phone numbers, which makes it much trickier for the search engines to get it all right. The good news is that Google and Bing have made it easy for us to distinguish exactly which address and phone number go together with a specific form of structured mark up called Schema.